Now that this violently unpredictable World Series is going seven games—as it deserves—I can predict with absolute certainty only two pitchers who will not appear tonight: Game 6 starters Rich Hill and Justin Verlander. That’s it. Everyone else is in play. There is no tomorrow, and it is, as they say, all hands on deck. Game 7 will be started by Yu Darvish, who got knocked around in Game 3, and by Lance McCullers, who, it is safe to say, is ready. That’s an appealing narrative to want to watch play out: Kershaw, who’s looked shockingly (for him) and familiarly (for him in October) human and especially susceptible to the long ball, taking the mound for inning after inning in a winner-take-all game. It’d evoke memories of Madison Bumgarner’s unforgettable five-inning save in 2014 ... if he’s effective, of course. But there are so many other potentialities in play. How about Kenley Jansen, L.A.’s lights-out closer who gave up runs to Houston in three straight appearances before bouncing back with two perfect innings last night (despite Dave Roberts claiming he was on a one-inning limit due to fatigue)? How about Brandon Morrow, so overtired that he apologized for lying to his manager and claiming he was in any shape to pitch in Game 5, but threw a scoreless inning last night after a single much-needed day off? If Darvish can’t work deep tonight—and given the stakes, Roberts won’t dare allow him to fall more than a run or two behind—you can count on Kershaw coming in, possibly for quite a few innings. 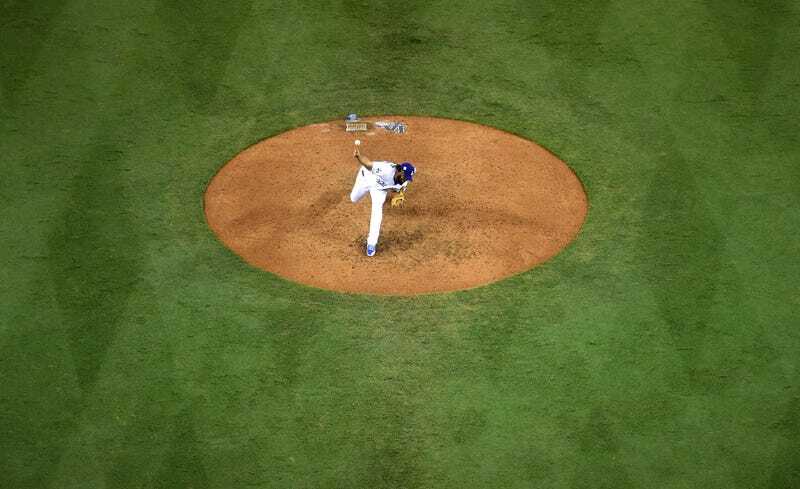 His next option is probably Game 4 starter Alex Wood, who was great in that one and is on three days’ rest. Morrow and maybe Tony Watson could enter for a batter or two, especially if there are men on. And then, no matter how much he’s thrown, no matter how unexpectedly successful the Astros have been against him, we will see Kenley Jansen in the late, high-leverage innings, maybe another two innings if needed. On the other side, the Astros, are likely to do what they’ve done all postseason when their backs are against the wall, and make use of their deep well of starters. Charlie Morton, Collin McHugh, Dallas Keuchel, and even Brad Peacock are all ready and should get calls before the more traditional relievers. Whoever comes on will stay on indefinitely until he gets into trouble; then it’ll be the next man up. This series, this season is going to end tonight, or maybe early tomorrow morning. Just a few more outs left to get. It’s been a while since the managers’ decisions on who to get those outs felt like they carried so much weight.